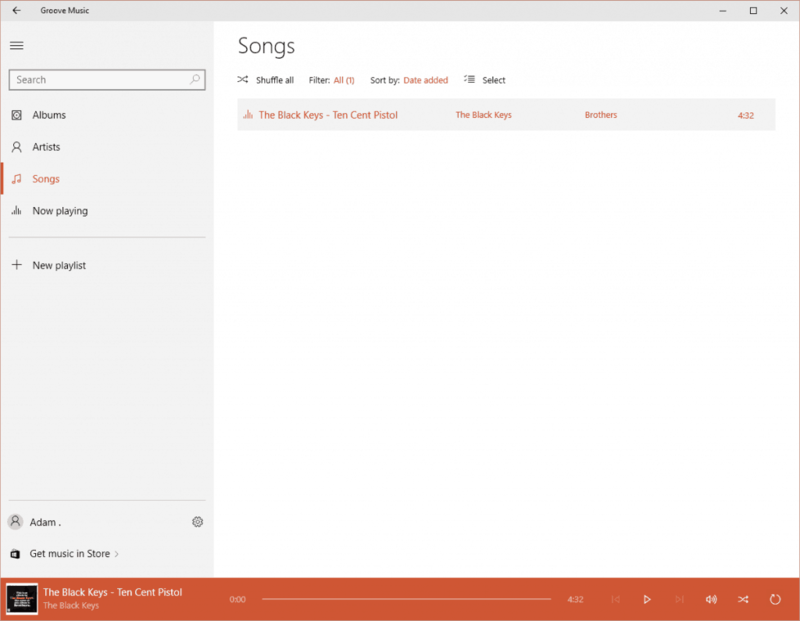 Groove Music: What can you do with Microsoft's music app? 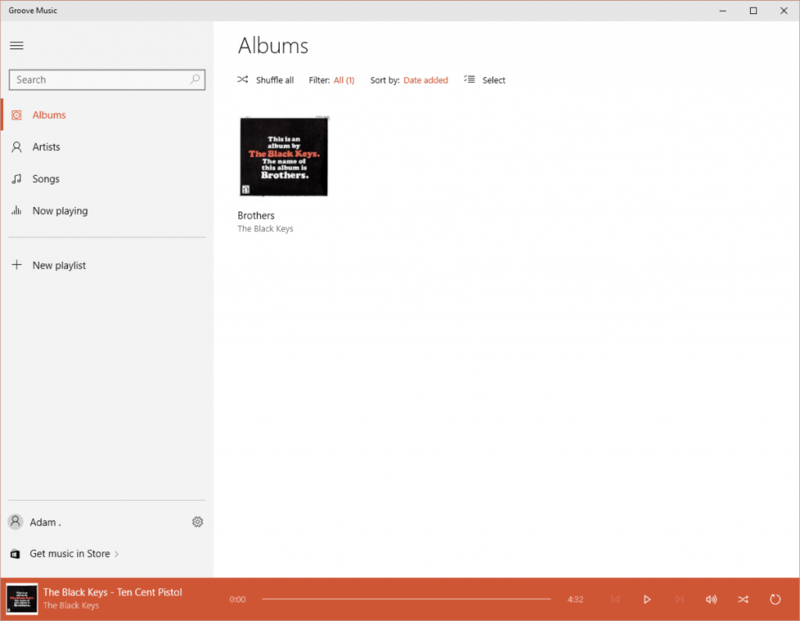 Groove Music: What can you do with Microsoft’s music app? Almost every single person who owns a PC also has a favorite media application that they use for music. Whether you call that Winamp, Windows Media Player, VLC, Spotify, iTunes or whatever else, Microsoft wants you to call it something else: Groove Music. The revamped music app now comes with every Windows 10 installation and though it is a pretty standard affair, you still have to spend some time with it before you decide for or against it. When you first open Groove Music you will see three separate options: See your local collection, grab yourself a Groove Music Pass or sync your music via OneDrive so you can access it anywhere with an Internet connection. It does not really matter which option you choose because they will all eventually lead to the same interface where you can access your local music as well as your Groove Music Pass stuff, provided that you have a subscription. 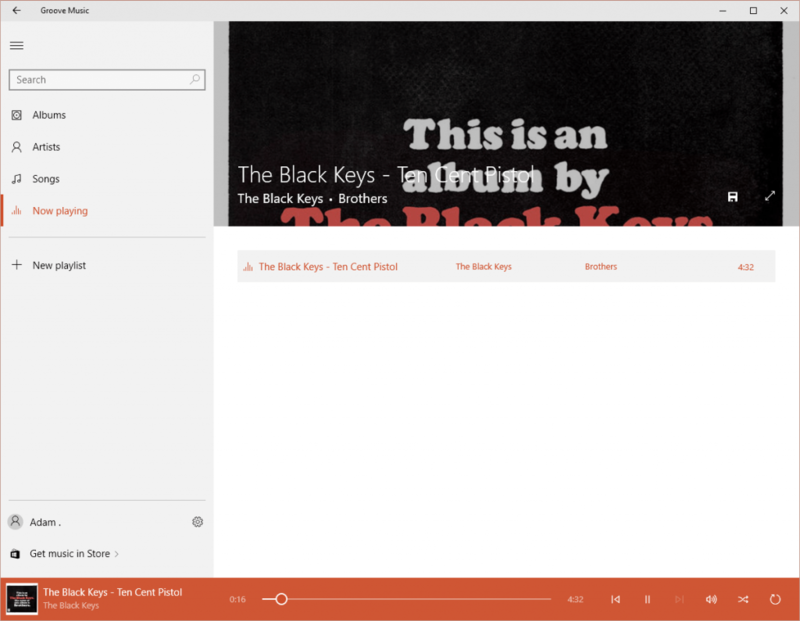 If you have a ton of music in your PC, Groove Music may take a while before it grabs everything, after which it will all be displayed on the main tab. 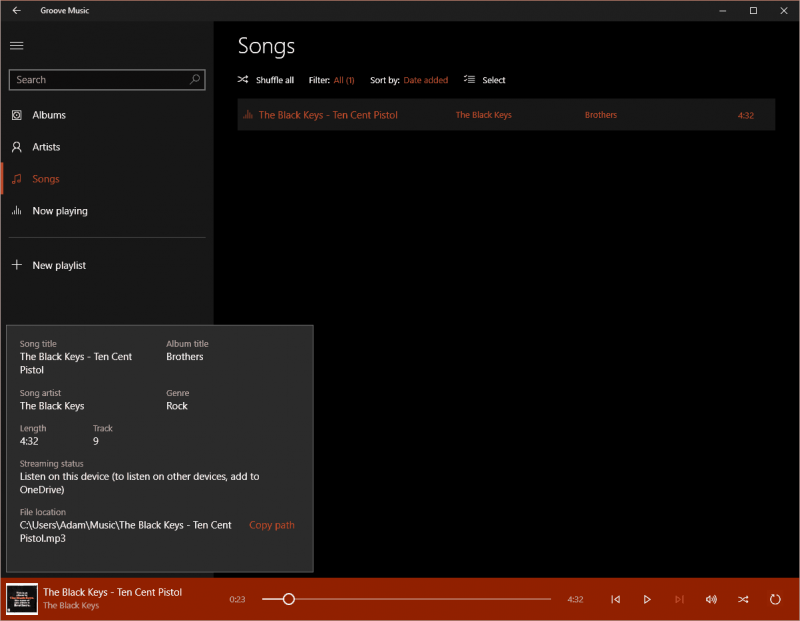 Using the left side pane you can list your music via album, artist and song. Playlists can be created manually or imported via iTunes but more on that later. Generally speaking, Groove Music is pretty barebones. The Now Playing interface is particularly barren and also the buggiest pane of the entire app. For example, I was playing a Black Keys song and while the app perfectly understood which artist it came from, which album it belonged to and what the album art looked like, the Now Playing interface did not seem to receive that information at all. Right-clicking on the song and going to its Properties revealed that the Now Playing interface just did not have that kind of information while all the other panes did. Weird, I know, and I still do not understand why. 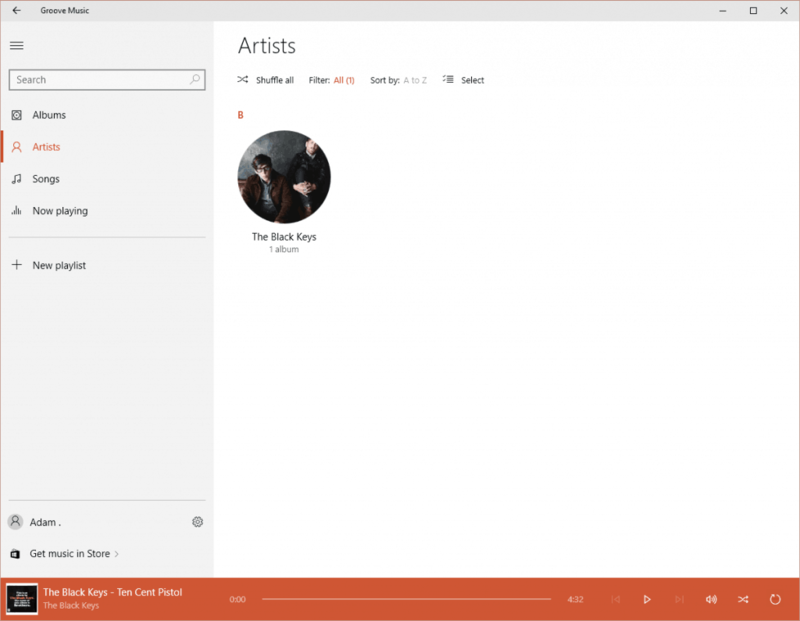 The gist of Groove Music is that if you have used any other modern music app before, you will know where to look and what to do with your songs here. There are no elaborate settings to configure, no complex listings to go through. You just import your music, start your songs and leave it be. The settings menu is probably the one with the most buttons and items to click on. Here you can get a Groove Music Pass which can be used across Windows, iOS and Android much like Spotify and Apple Music or, more accurately, like the Xbox Music Pass that Groove has replaced. Going to the “Music on this PC” menu will let you set music locations in your PC so that Groove knows where to look for your local music while you can also import playlists from iTunes quickly. 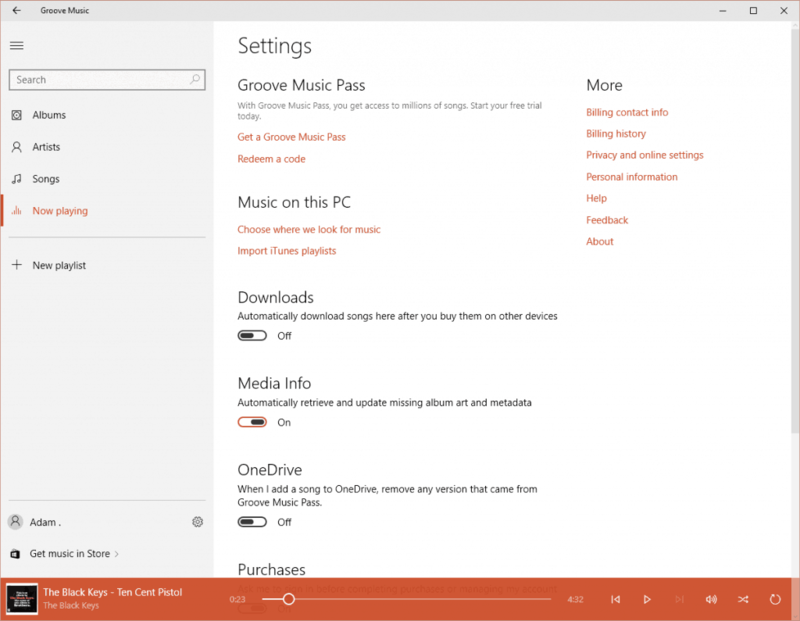 Furthermore, you can choose to automatically download songs in your computer if you buy them via the Windows Store in another device, allow Groove Music to retrieve album art and metadata from the internet, to delete songs after you sync them to OneDrive and to force Groove to ask you for your password before any purchase goes through. That last part will probably appeal to parents so make sure you leave it on which is the default setting. The other two things you can do here is to change the background to black and to completely reset Groove Music which really means deleting your playlists and removing any music that you have download from the Groove Music catalog. Any local stuff will stay in your PC, of course. Anything you see on the top right “More” menu will take you to a Microsoft website which lets you manage things outside of the Groove Music app.